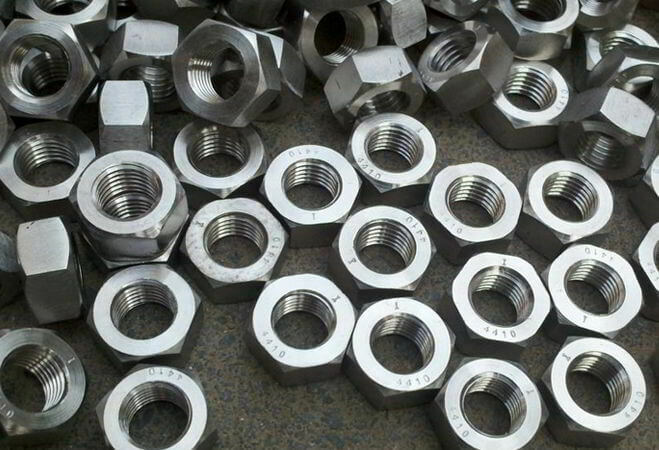 Inconel Nuts, Inconel 600 Fasteners, ASTM B166 Inconel 600® Nuts, ASTM B564 Inconel 600 Nuts, ASTM F467 Alloy 600 2-H Heavy Hex Nut Dealer, Nickel Alloy UNS N06600 Industrial Hex Nuts Stockists, Nickelvac® 600 Flange Nuts Suppliers, DIN 2.4816 Eye Nuts, ASME SF467 Ferrochronin® 600 Nuts, Distributors of ASME SB564 Inconel 600 High Nuts, Inconel 600 Square Nuts in Mumbai, India. Inconel Gr. 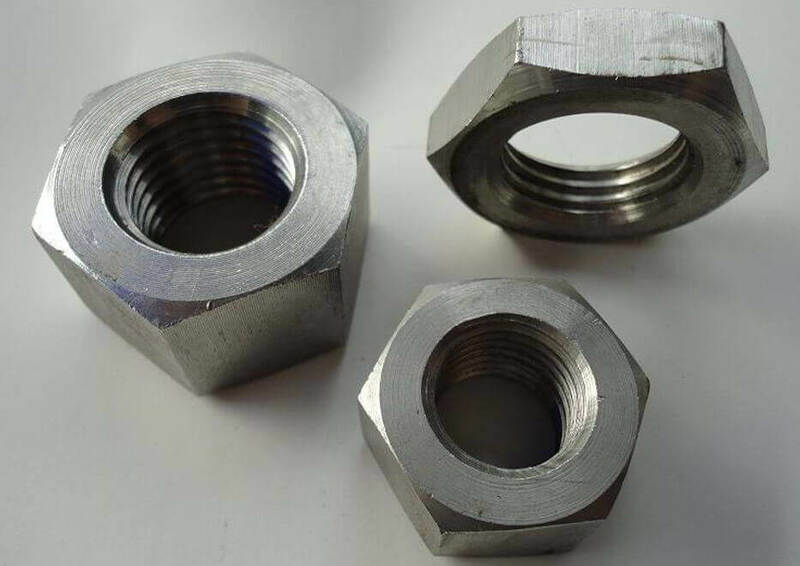 600 Custom Nuts Manufacturer, SB564 Alloy 600 Nuts, ANSI B18.2.2 Inconel 600 2-Way Lock Nuts, ASME SB166 Inconel UNS N06600 Jam Nuts Wholesaler, ASTM F467 Inconel 600 Machine Hex Nut, DIN 934 Nickel Alloy 600 Nylon Insert Lock Nuts Exporters. 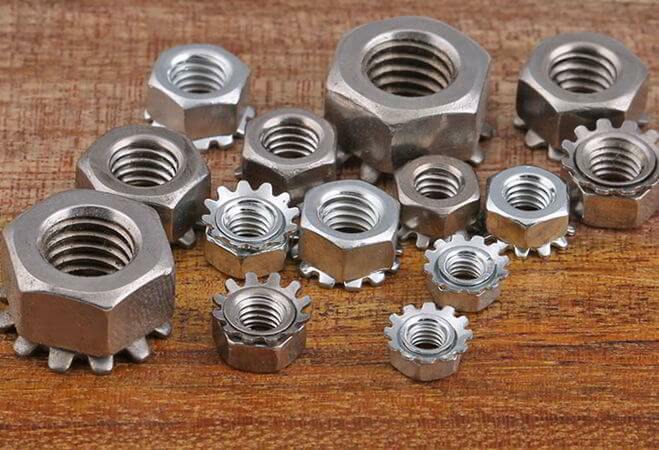 Renine Metalloys is an eminent manufacturer of Inconel 600 Alloy Nuts, which has corrosion resistance to both organic and inorganic compounds. However this can be avoided if the fabrication of Inconel 600 Hex Head Nuts is fully stress relieved before use. 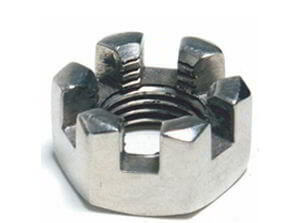 Anneal of Inconel 600 Square Nuts is carried out between 1700 Degree F / 1900 Degree F (925 Degree C / 1040 Degree C) followed by air cooling or water quenching, depending upon the size and the complexity of the part. 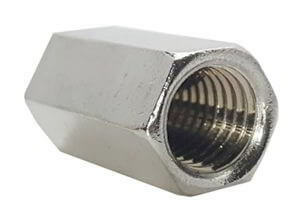 Inconel 600 Lock Nuts is a nickel-chromium-iron alloy with good oxidation resistance at high temperatures and resistance to chloride-ion stress corrosion cracking corrosion by high-purity water, and caustic corrosion. Low sulfur reducing furnace atmospheres of Inconel 600 Eye Nuts should be used in forging. 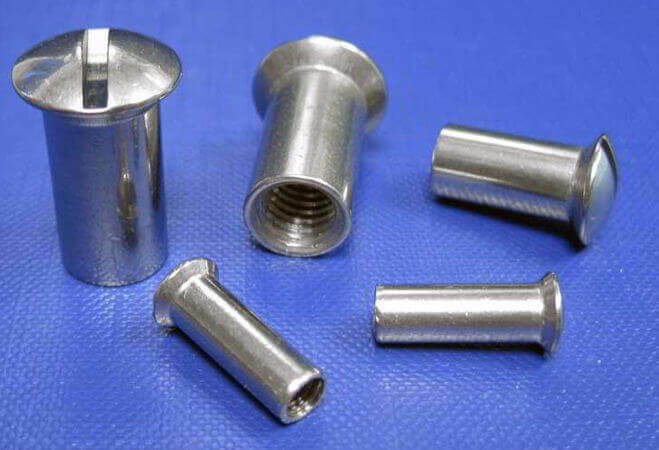 Typical applications of these Inconel 600 Wing Nuts include the chemical, aerospace, pulp and paper, nuclear engineering and heat treating industries. The rate of work hardening in Inconel 600 T-Nuts is greater than that of mild steel but less than the rate of Type 304 stainless steel. 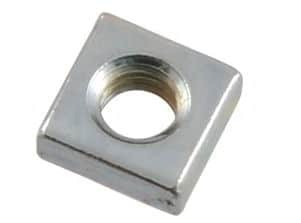 These Inconel 600 Panel Nuts is often used in pressurized water reactors for control rod guide tubes and steam generator baffle plates. The high nickel content of Inconel 600 Coupling Nuts prevents the austenite to martensitic transformation which can occur when Alloys 301 or 304 stainless steels are cold formed. 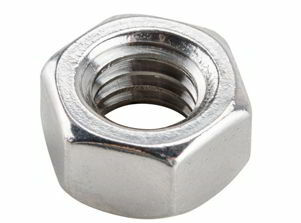 These Inconel 600 Dome Nuts is virtually immune to chloride ion stress corrosion cracking. 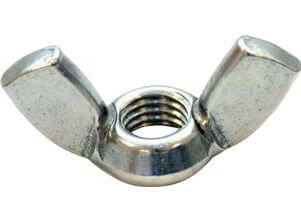 ISO 4032 Inconel 600 Long Nuts, Nickelvac® 600 Slotted Nuts Suppliers, Werkstoff No 2.4816 Nuts, Inconel 600 Sleeve Nut Traders, Ferrochronin® 600 Heavy Hexagonal Nuts, UNS N06600 Nickel Alloy Wing Nuts, Inconel 600 Weld Nut, Alloy 600 Cap Nuts Exporters. 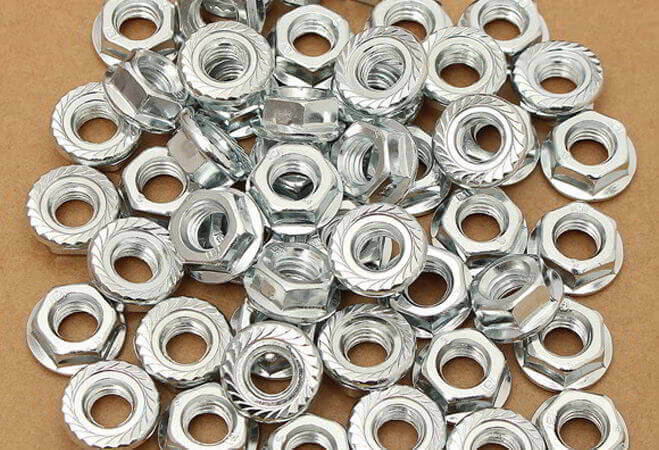 Inconel Fasteners, Inconel Nuts, Inconel 600 Nuts, Nickelvac® 600 Heavy Nut, Ferrochronin® 600 Hex Nuts, ASTM B564 Inconel 600 Nuts, ASTM F467 Inconel 600 Fasteners Exporters, ASME SB166 Inconel 600 K Lock Nuts, ASME SB564 Alloy 600 Custom Nuts, Inconel 600 T- Tee Nuts, UNS N06600 Inconel Dome Nut, Inconel 600 Flange Nut, Nickel Alloy 600 Lock Nuts, 600 Alloy Industrial Nuts, Nickelvac® 600 Weld Nuts, DIN 2.4816 Inconel Cage Nuts, ASTM B564 Inconel 600 Allenuts, ASTM B166 Inconel 600 Cage Nuts, ASTM B564 / ASME SB564 600 Inconel Spring Nuts, Werkstoff No 2.4816 Inconel High Nuts, ASME SF467 Inconel 600 ACME Nuts, Inconel 600 Cap Nuts, Ferrochronin® 600 Coil Nuts, ASME SB564 Inconel 600 Handle Nuts Exporter, ASME SB166 600 Inconel Hurricane Nuts, ASTM F467 Nickel Alloy UNS N06600 Heavy Hex Nuts Supplier, Nickelvac® 600 Square Nuts, ASTM B564 Inconel 600® Jam Nuts, Inconel Alloy 600 Slotted Hex Nuts, ASME SF467 Nickel Alloy 600 Kep Nuts, Alloy 600 Sleeve Nuts Stockist, Inconel 600 Flex Lock Nuts, Inconel Alloy 600 Pin Lock Nut, ASTM F467 Inconel 600 Flex Lock Nuts, 600 Inconel Slotted Nut, B564 Nickelvac® 600 High Nuts, Ferrochronin® 600 Cap Nuts, Alloy 600 Castle Nuts Stockists, Inconel Alloy 600 Hex Nuts Stockists, ASTM B564M Nickel Alloy UNS N06600 Auto Lock Nuts, Inconel 600 2-H Heavy Hex Nuts Traders, Nickel Alloy 600 Miscellaneous Nuts Dealer, Inconel 600 Nylon Insert Lock Nuts, ASME SB166 / SB564 Inconel Grade 600 Serrated Flange Nuts, ASTM F467 Inconel 600 Hexagonal Nuts, Inconel 600 Flange Nuts Stockholder, ASTM F467 Inconel 600 2-Way Lock Nuts, Supplier of High Quality Inconel 600 Coupling Nuts, Manufacturer of Inconel 600 Acorn Nuts Traders, Exporters of Inconel 600 Slotted Nuts, Inconel 600 Machine Hex Nuts Dealer, Inconel Alloy 600 Panel Nuts Stockholders, 600 Inconel Alloy Thin Nuts Wholesaler in India, Inconel 600 Eye Nut Manufacturer, Distributors of Inconel 600® Rivet Nuts Stockholders, DIN 934 Standard Inconel 600 Nuts, B18.2.2 ANSI Standard Inconel 600 Nut, (BS1768, BS 1769) BS Standard Inconel Alloy 600 Nuts, ISO 4032 Standard Inconel 600 Nuts. Istanbul, Geoje-si, Atyrau, Granada, Riyadh, Jaipur, Kolkata, Colombo, Surat, Sydney, Jakarta, Hanoi, La Victoria, Howrah, Australia, Moscow, Aberdeen, Petaling Jaya, Houston, Secunderabad, Chennai, Busan, Chiyoda, Los Angeles, Lahore, Abu Dhabi, Dubai, Baroda, Ahvaz, Jeddah, Rio de Janeiro, Brisbane, Visakhapatnam, Edmonton, Ranchi, Santiago, Perth, Kanpur, Bangkok, Kuwait City, Nashik, New Delhi, Montreal, Ludhiana, Calgary, Lagos, Mexico City, New York, Courbevoie, Dallas, Port-of-Spain, Hyderabad, Ernakulam, Turkey, Bogota, Coimbatore, Muscat, Vadodara, Gurgaon, Kuala Lumpur, Cairo, Nagpur, Tehran, Noida, London, Singapore, Faridabad, Jamshedpur, Madrid, Pimpri-Chinchwad, Manama, Toronto, Ho Chi Minh City, Sharjah, Al Jubail, Chandigarh, Milan, Caracas, Seoul, Algiers, Doha, Gimhae-si, Vung Tau, Thane, Karachi, Pune, Al Khobar, Rajkot, Haryana, Bhopal, Ahmedabad, Hong Kong, Thiruvananthapuram, Bengaluru, Dammam, Navi Mumbai, Mumbai, Indore, Ulsan. Nigeria, Mexico, Ghana, India, Malaysia, Venezuela, Canada, Poland, Turkey, Lebanon, Belarus, Nepal, Vietnam, Chile, Mexico, Switzerland, Ukraine, Puerto Rico, Hungary, Argentina, France, South Korea, Sri Lanka, Singapore, Ecuador, New Zealand, Bhutan, Brazil, Japan, Bolivia, Italy, Sweden, brazil, Hong Kong, Austria, Indonesia, United Arab Emirates, Jordan, Kazakhstan, Peru, Romania, Denmark, Qatar, Spain, Tibet, United Kingdom, Portugal, Thailand, Azerbaijan, China, Greece, Algeria, Kenya, Ireland, Czech Republic, Bulgaria, Egypt, Bangladesh, Russia, Taiwan, Oman, Lithuania, Gambia, Serbia, Yemen, Gabon, Afghanistan, cyprus, Belgium, Nigeria, Slovakia, Australia, Costa Rica, Trinidad & Tobago,Tunisia, Mongolia, Zimbabwe, Philippines, Morocco, Finland, Namibia, Iran, Colombia, Chile, Iran, United States, Croatia, Kuwait, Libya, Poland, Norway, South Africa, mexico, srilanka, thailand, malaysia, Bahrain, Macau, Saudi Arabia, Germany, Estonia, Netherlands, Israel.